If stress is inevitable, can you do anything about it? 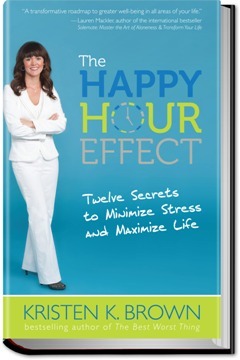 Bestselling author, coach and entrepreneur Kristen K. Brown says yes — through the Happy Hour Effect. Quit Your Bitchin’! Why complaining, nagging and feeling sorry for yourself won’t get you anywhere. Love Your Job How to slay stress and do what you love. Change Your Money Mindset Why more green doesn’t equal more happiness. The book is supported by down-loadable worksheets on meditation, exercise, family matters, Me Time, pets, and more. 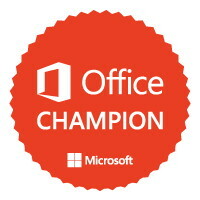 YOU CAN WIN! Leave us a comment below about what stresses you out by Tuesday, November 13th at noon ET for your chance to win an e-copy of “The Happy Hour Effect” plus the Stress Turnaround program, a seven-week online course with weekly videos, worksheets, stress-less exercises and meditations. One winner will be chosen at random by Random.org. What stresses me the most is pulling into my messy garage, walking into my messy kitchen, hanging my coat in my messy closet, walking up my messy stairs past my children’s messy bedrooms and into my own messy room. Every. Single. Day. Other than that, I’m fine.